FINA has created a new initiative, “Swimming for All – Swimming for Life”, as a special programme to teach people from all ages, different backgrounds and capacities how to swim and to promote physical activity through swimming across the globe. 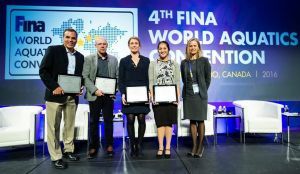 It was announced at the recent 2016 FINA World Aquatics Convention in Windsor, Canada by FINA President Julio Maglione. 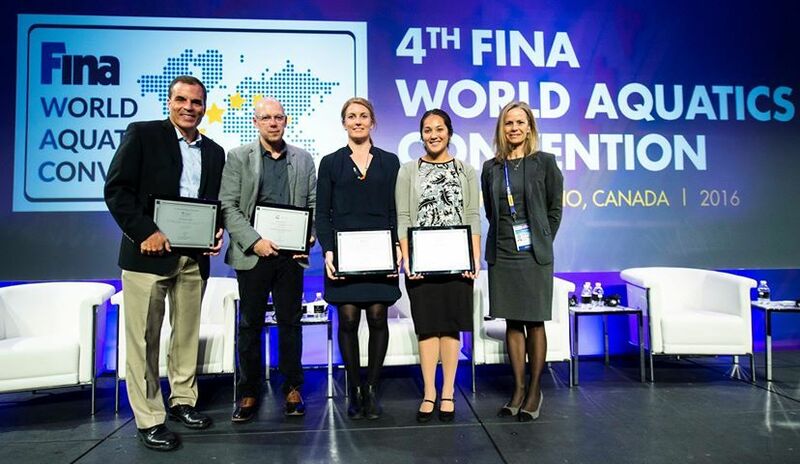 Oceania Swimming was honoured to also present at the Convention on their participation programs across the region which mirror the effort that FINA has encouraged continents to put at the forefront of swimming development. Increased knowledge of basic swimming skills as a powerful healthy lifestyle tool was highlighted during this Convention, complimenting the Swimming for All movement. As part of their initiative, FINA will be running their first Swimming for All clinic in Bangkok, Thailand from the 15th-17th May. During this clinic FINA will offer an effective and accessible programme with a set of uniform criteria for the training of teachers of swimming. It is the aim of the clinic that by the end the teachers and/or swim instructors will have the capacity to disseminate the knowledge through similar clinics to other teachers in their respective countries. 10 representatives from each continental body will attend the clinic. OSA looks forward to this opportunity to gather enthusiastic and talented learn to swim instructors together for this very important initiative that will hopefully make a difference in the lives of people and children across the Oceania region.